There are many approaches to creating a dry basement. At Complete Basement Systems of NY we know which ones work and which ones don't. Our certified specialists have seen it all. Serving Long Island homeowners since 1972, we know how to get the job done quickly and effectively. No job is too small, and there's no wet basement we can't fix. For your peace of mind, our basement waterproofing system comes with a Lifetime Warranty that is transferable when you sell your home. We have a team of extensively trained basement repair specialists who can work with you to find the best solution for your home’s basement. We provide professional basement waterproofing services in Huntington Station and throughout All of Long Island. Why fix your basement water problems? A wet basement is detrimental to both your house and your family. It prevents the use of valuable space, whether for living, storage, or other activities. It also leads to unnecessary work and expense, including cleanup after periodic flooding and replacement of equipment such as ruined furnaces and water heaters. In addition, a wet basement depreciates property value. In a today's challenging housing market, no discerning buyer wants a house with an unsolved waterproofing problem. Even basements that are merely damp should be upgraded. Moisture promotes the growth and spread of mold and mildew, a common cause of indoor air pollution and respiratory illnesses. Moisture can also ruin many of the items homeowners typically store in basements, including steel tools, books, and photographs. We begin by eliminating sources of water, especially rainwater that drains toward foundations from roofs. It's imperative to have gutters and downspouts that function correctly. In addition, grades, walkways, patios, and driveways must slope away from the house. For basements where groundwater is the problem, the first choice is a below-floor interior perimeter drain, also called a French drain. The specially designed drain rests in a trench on top of the footing and is covered. Compared to exterior perimeter drains, interior drains can be installed in less time (typically a day or two), cost less (about half), are easier to maintain, and won't disrupt foundation plantings and other landscape features. In cases where the slab is thin, an above-floor drain is used. The drain captures water that seeps in through walls or at the slab-wall joint. Whether the drain is above or below the floor, it channels water to a sump basin, where a sump pump moves the water through a discharge pipe to the outside. We do not rely upon coatings brushed on the inside of foundation walls to stop moisture penetration. We install quality sump pumps and effective drainage systems to help keep basements dry. We're your expert basement waterproofing contractor in New York, providing free estimates in Huntington Station, Bay Shore, Hempstead, Massapequa, Valley Stream, Lindenhurst, Brentwood, Levittown, Westbury, Freeport, Huntington, Patchogue, West Babylon, Elmont, New Hyde Park, Long Beach, Great Neck, Hicksville, Merrick, Bellmore, Rockville Centre, Massapequa Park, Woodmere, and nearby. 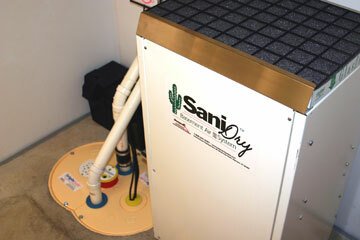 We also install sump pumps, self-draining dehumidifiers, waterproof flooring, and more. Contact us today and we'll give you a free, no obligation quote.